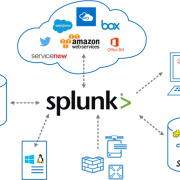 You are here: Home / Solutions / Apps / Introducing Config Quest for Splunk! 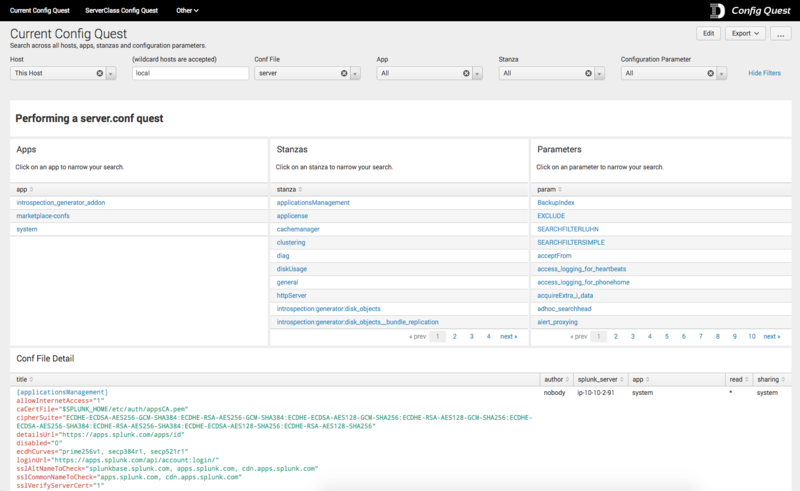 At the heart of the app is a powerful dashboard; enabling searching of Splunk configurations by conf file, host, app, stanza and/or parameter. 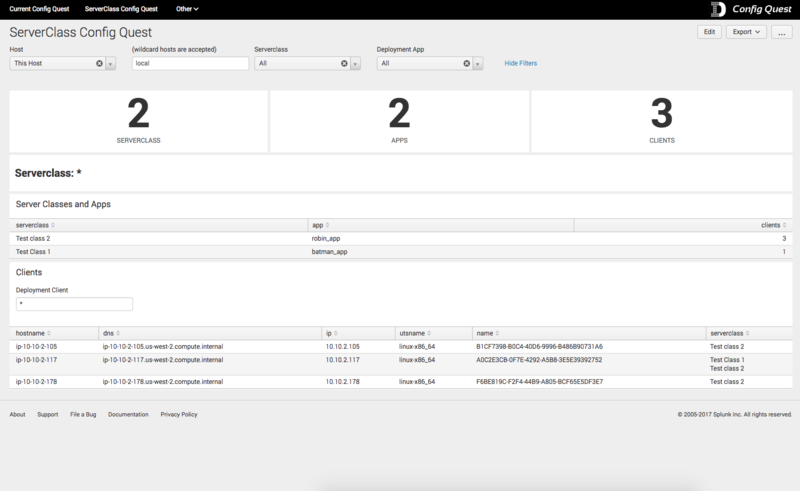 The configurations returned are nicely formatted into the familiar stanza, parameter and value Splunk conf file format, along with text based highlighting to aid visualization and readability. 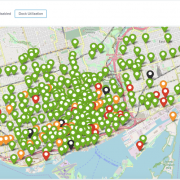 Simply install on a Search Head and you are good to go. There are no scripts to run or deploy across your environment. The app leverages Splunk’s REST based commands, then uses complex formatting and logic to present the data in a familiar Splunk Conf file format by stanza, parameter and value. Why not just use btool? 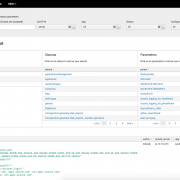 Config Quest does not replace btool, but instead provides a convenient mechanism to remotely review configurations residing on your Splunk servers, without the need to log into the host and run btool or check files manually. There are no scripts to run, no complex logic to learn and nothing to install other than this app on your Search Head. 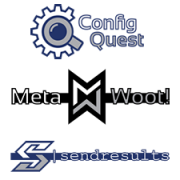 While btool rolls up configurations using Splunk’s inheritance based rules, the configs returned by Config Quest are in their raw state prior to rollup, although some defaults are picked up in the results. 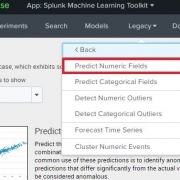 We are continuously improving our Splunk apps and the following items are planned for a future release. Let us know if you would like us to add something!